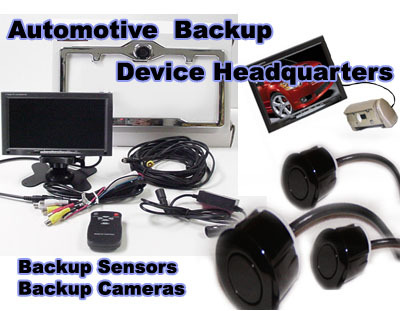 We carry a full line of vehicle accessories to protect and enhance the looks of your vehicle. (and loved by the rest of us) because they offer secure and organized access to our expensive tools, and gear. 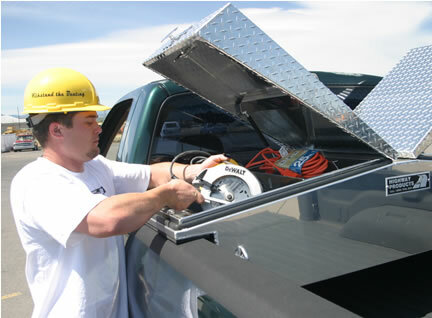 They allow us to keep the cab of our pickup trucks clear for passengers and add safety in case of an accident. 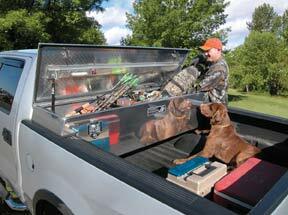 They mount to the top of the pickup's bed rails, leaving room underneath for sheets of plywood or longer items. You can throw stuff at them, in them, tie things to them, call them names and they still do their job. They really come close to being man's best friend. Notice the polished front of these tool boxes. 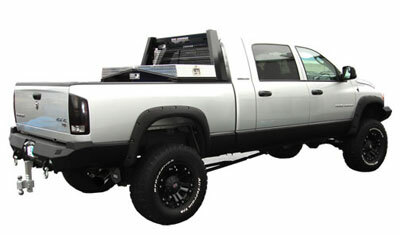 They add a high quality look to your truck. 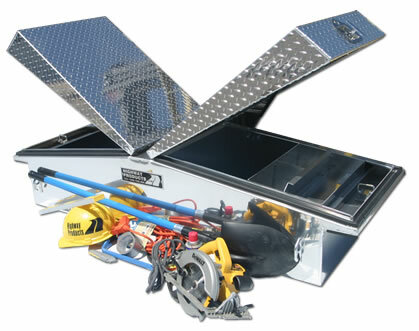 Single lid truck tool box gives maximum opening for longer items you may carry like, levels, tri-pods, jacks, etc. 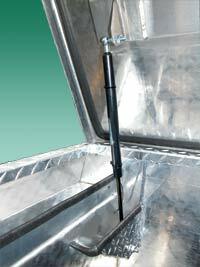 Single lid with lower profile lid design gives better rear view and works for pulling most fifth wheel trailers where trailer overhang may swing over box. 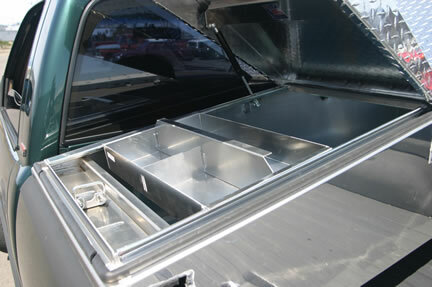 Our double lid "Gull Wing" design is unique in that the door is tapered for a low access into the tool box. It also allows a bigger opening. 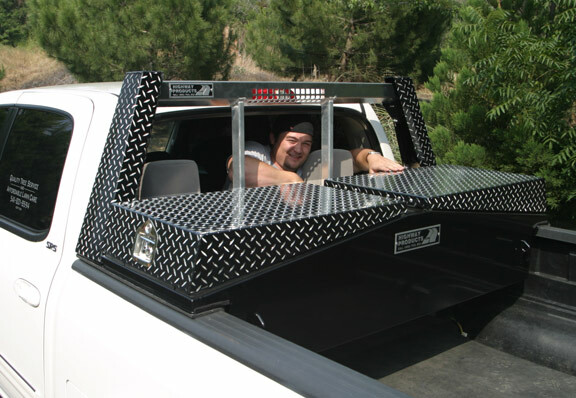 A great box for taller 4x4 trucks. THAT'S WHAT YOU CALL TUFF! 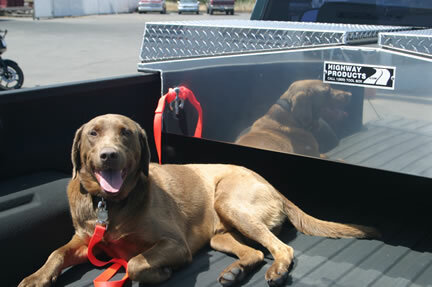 This rope hook is great for securing a load in your truck bed. It has a closed eye and an open eye for easy and convenient tie-down. Bunji straps, rope, and leashes hook up fast. 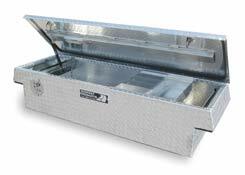 They are welded from the inside of your tool box for clean looks. 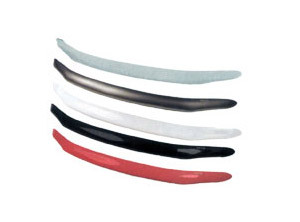 Guarding against the weather is Clean Seal® automotive weather stripping. (left) A nitrogen gas filled door prop to assist the door opening. 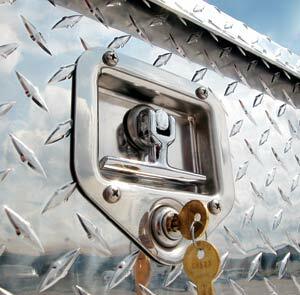 Tough, durable and secure. We use the thickest marine grade aluminum used in the industry, continuous length piano-style hinges, and secure, custom made just for Highway Products, Inc. "T-handle" stainless locking mechanisms. 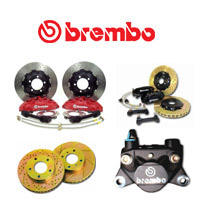 Covered by a Lifetime Limited Warranty. New! Shaved diamond headache rack. 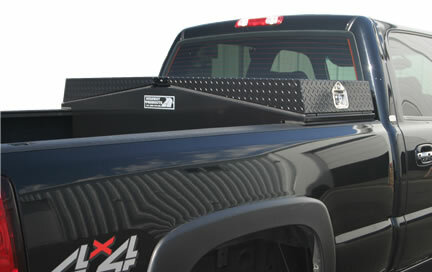 This powder coated headache rack with shaved diamonds gives your truck a rich look and will surely draw attention from your buddies. New Model! 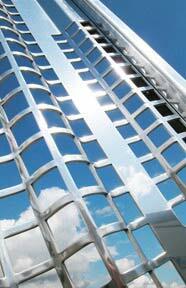 "Heavy Duty" Polished aluminum headache rack with a mirrored finish and a Lifetime Warranty! Check out these high-powered features! (1) Let's start with looks. So many pickup trucks you see these days look alike. When you do see one that looks different, you take notice, right? 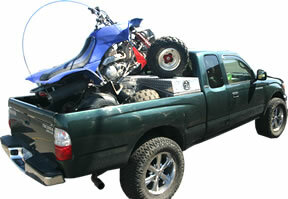 Want your pickup truck to look different too? A bold look of distinction and power? 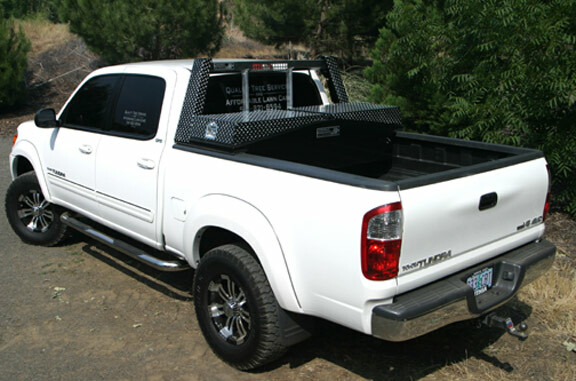 The Silverback™ headache rack will do just that and give your truck unmatched style too! (2) Protect your rear window. How many times have you seen or heard about someone breaking their rear window by throwing firewood in the back. 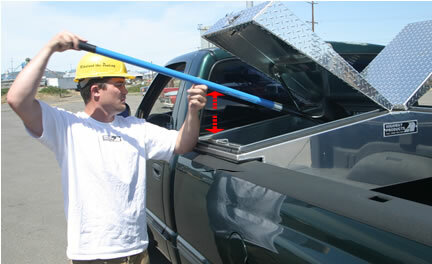 The Silverback™ headache rack prevents rear window damage. Note: we also leave you enough room to get behind it for cleaning your rear window. (3) Keep cool. We have to fess up on this one. 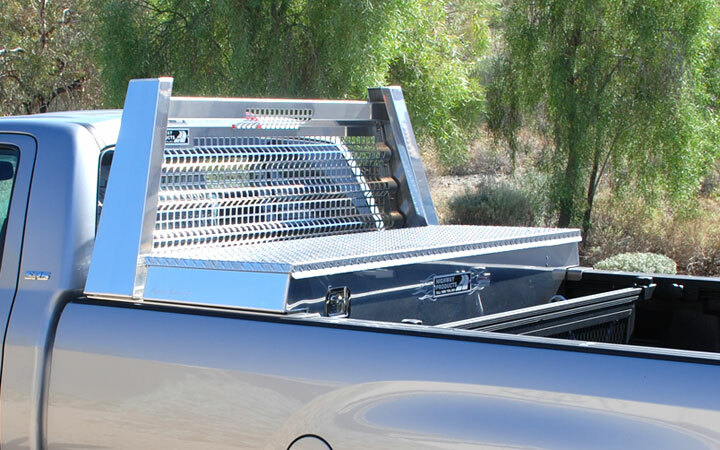 We didn't build it intentionally to keep the sun out but we noticed very quickly that the grill design of the Silverback™ headache rack kept the cab of our truck cooler by reflecting the suns rays. Your upholstery will also benefit from the UV protection. 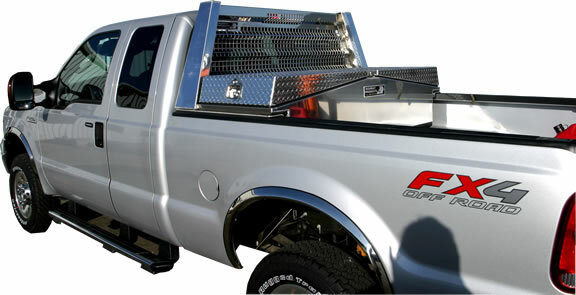 (4) While we're talking about the headache rack grill design. 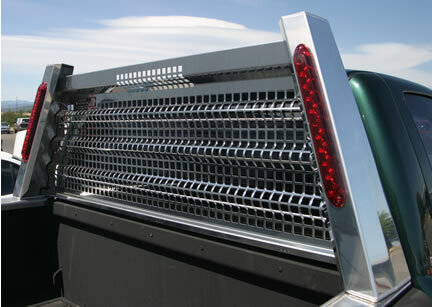 We did design the grill so that it would keep anything bigger than one inch square from getting through it plus keep the rear vision acceptable. In fact, you can see out but outsiders cannot see in. After a few days you won't even notice the grill is there when looking in your rear view mirror. (5) Here's a Bonus - Ever get blinded by the car behind you with their high beams on? 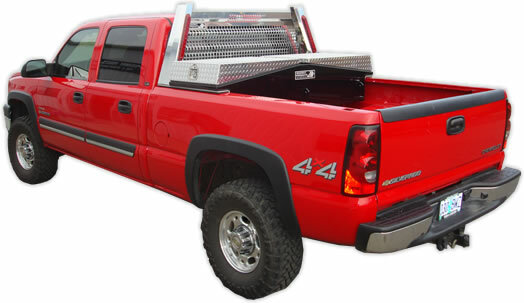 Our deluxe Silverback™ headache rack grill deflects that light too! 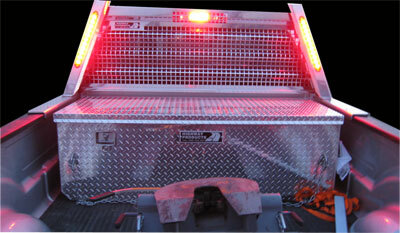 (6) Safety: Our new LED lighted version of the Silverback™ headache rack decreases the chances of you being rear ended. When you hit the brakes they will know instantly that you are stopping or turning. That's right! 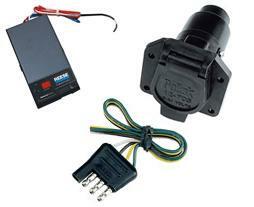 These LED lights also blink for turn signals. We use these same lights on our semi truck back racks. 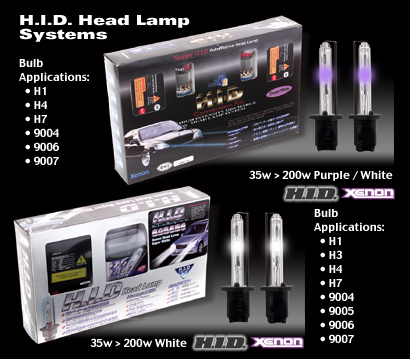 They're tough, sealed beam, and light up like a Christmas tree when you stop or turn. 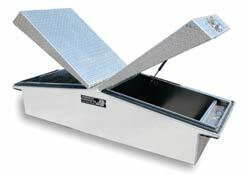 We think this king size safety feature is a must have item ourselves. 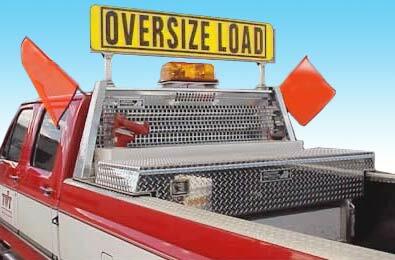 (7) Options: Need a way to display a "wide load" sign, warning lights, or flags? 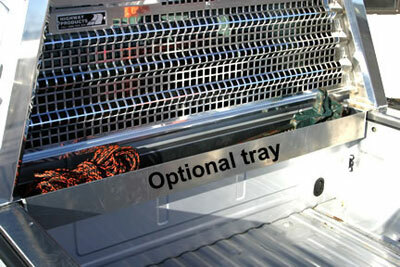 We can supply brackets on our headache racks for any sign, beacon, flags and lights. If we don't already have it, we'll make it just for you. 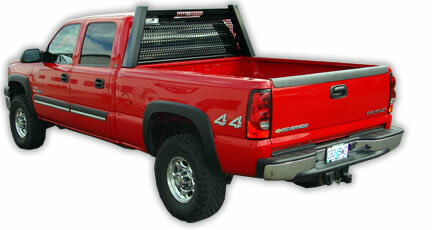 Add "Power Looks" to your truck with a powder coat upgrade. (8) New! Our best selling heavy gauge aluminum headache rack is available with an (optional) tray that spans between the uprights. It's perfect for a jack, some chain, or rope. Keep those awkward items out of you cab or tool box. When you have a tool box, headache rack combination with a tray, you can't see the tray or what's in it. Out of site, out of mind. You'll absolutely love this unique option! (9) The new Highway Products Silverback™ headache racks display cool, elegantly machined and polished uprights with a reeinforced, wave pattern grill that simply has to be seen to be fully appreciated. The embossed aluminum nameplate completes the package with the sign of outstanding craftsmanship. 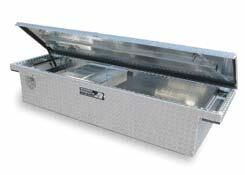 (10) All Highway Products pickup tool boxes and headache racks are covered by a Lifetime Warranty. We've had customers tell us they've been followed for miles by strangers to ask where they could get one of those great looking headache racks! 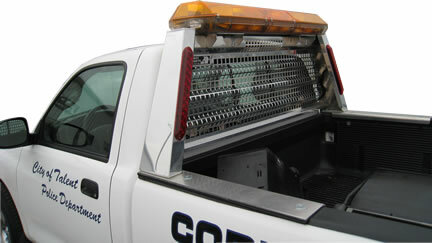 By far our most popular is our headache rack with lights for those who really want the people behind them to get the signal, and without lights for those who want great looks and function. Now available in powder coat. New! Our customers asked for it so we made it. We now offer an open style headache rack with no grill. 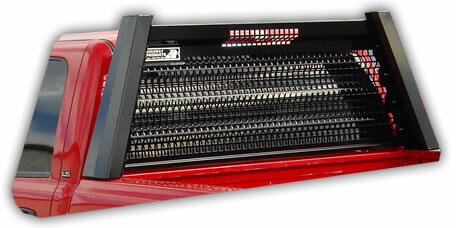 (Also shown above) It works great with rear windows that open and some of us just don't want a grill. Ask for the no grill headache rack. This one has powder coated diamond plate uprights. 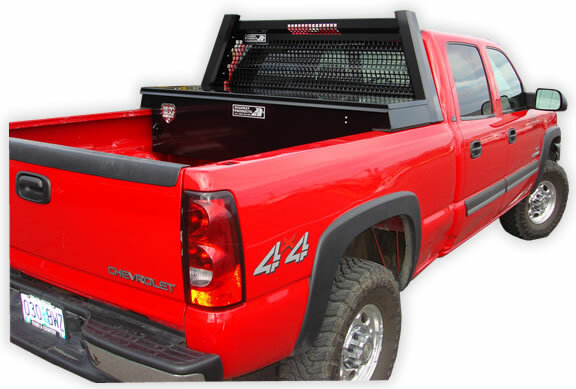 Give your truck a beefy, distinguished look of perfection, rear window protection, and keep your cab cooler with a Highway Products headache rack! 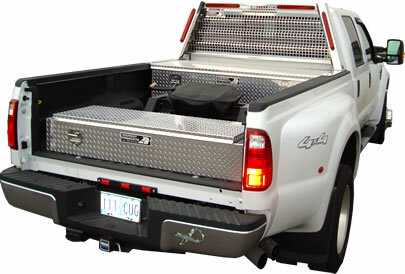 This new style truck tool box - headache rack combination takes an everyday, off the lot truck, and turns it into a racey looking show truck. Looks, securty, function.